During a campaign rally of the Hugpong ng Pagbabago (HNP) in Tagbilaran, Bohol the other day, President Duterte’s daughter raised the hand of Marinduque Rep. Lord Allan Velasco, introducing him as the next speaker. DAVAO CITY, Philippines — Who’s really her choice for the next speaker of the House of Representatives? Davao City Mayor Sara Duterte-Carpio is now keeping the public guessing. “Ako ipailaila ninyo ang (I am introducing to you the) next Speaker of the House, Marinduque Rep. Lord Velasco,” Duterte-Carpio said. Velasco, a member of President Duterte’s Partido ng Demokratikong Pilipino-Laban ng Bayan (PDP-Laban), has been a permanent fixture at HNP rallies held in various parts of the country, starting off with sorties in Luzon. 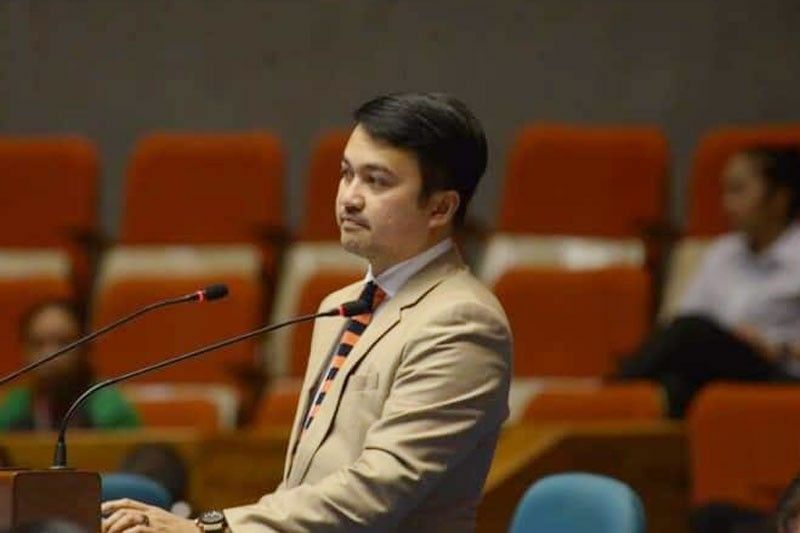 But he is not the only one who is presented that way, as the Davao City mayor also introduced Leyte Rep. Martin Romualdez, a nephew of former first lady Imelda Marcos, as the next House speaker to succeed former president and Pampanga Rep. Gloria Macapagal-Arroyo. Romualdez, who heads the local political party in Leyte, welcomed the presidential daughter and the HNP senatorial candidates during the rally in Tacloban City. Aside from Velasco and Romualdez, she is also close to former foreign affairs chief Alan Peter Cayetano and his wife Taguig City Mayor Lani Cayetano. Cayetano did not hide his desire for the speakership in the next Congress and had earlier announced his bid for the post. Carpio said everyone she has endorsed is fit for the position of House speaker, but she also emphasized that Velasco has an advantage because he is a member of ruling party PDP-Laban. PDP-Laban earlier said it was eyeing eight possible individuals as nominees for the next Speaker. Now barnstorming key areas in the Visayas, HNP is scheduled to hold rallies in Cebu and Negros.